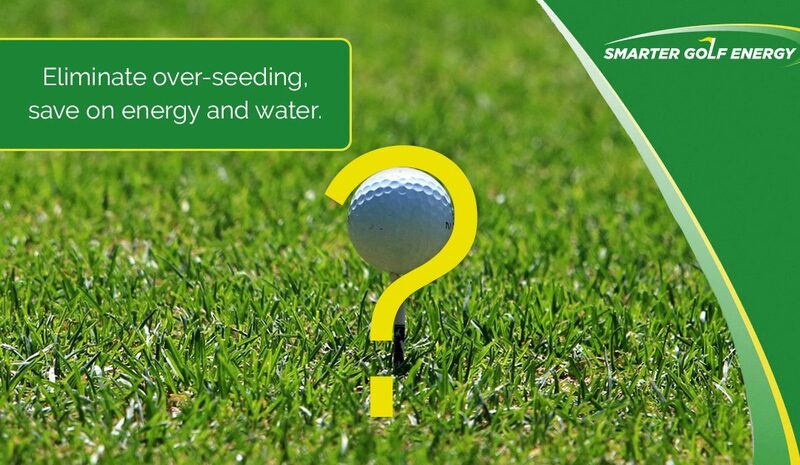 Make your gold course’s seed capital work for you by eliminating over-seeding to slash your course’s water and energy costs. Clubs that downscale or eliminate altogether their over-seeding practices generate significant cost savings, according to a Golf Course Industry article (“Getting Over Overseeding”, September 16, 2009). In the past, it was done primarily for aesthetics, but now it’s also about saving costs. To illustrate this, the articles cites Pinehurst Golf Club in North Carolina, the centrepiece of Pinehurst Resort and one of the world’s most celebrated golf courses which has served as the site of more single golf championships than any course in America. From the late 1970s until 1997, Pinehurst Resort over-seeded tees and fairways only, but in 1997, it started wall-to-wall over-seeding, adding the rough. Since Pinehurst eliminated over-seeding in 2003, savings on seed, fuel, labour, and water costs equalled $250 000 to $300 000 per annum. When Tampa Palms—a private, 18-hole facility in Florida with a maintenance budget of about $700 000—was being over-seeded wall to wall, it cost about $25 000 a year. Now, over-seeding just the tee tops costs about $4 000. Some of those savings went to the bottom line, while the rest was spent on detail work, such as drainage and tree trimming, and an increased herbicide budget for weed control. Tampa Palms is saving $22 000 from the seed cost, as well as fuel, labour and irrigation costs related to over-seeding. Now labour is freed up to work on divot repair, trimming and edging. The fuel savings are considerable. The club was spending $200 to $300 on diesel fuel every two weeks from November through to March—now it’s just $60 a month. Another benefit of not over-seeding is better weed control: golf courses can use a broader range of herbicides for broad-leaf and grassy weeds. Plus, non-overseeded turf looks better than over-seeded turf in the spring. Although the turf wasn’t as lush or green, members were able to get an extra five or 10 yards of ball roll, which should improve their game.